EXTREME SPORTS CARS YOU MAY NEVER SEE….. In this world of ever-tightening regulations, ever-dwindling derestricted highways, ever-increasing traffic, and ever-decreasing oil reserves – there’s little room for massive conveyors of speed. They chug back gasoline and bottom out on every parking garage entrance in New York City. But the market for superhyperexoticars is growing. Sales of Lamborghinis, Aston Martins, Ferraris, Bentleys and their ilk are at an all time high. Sure, but even so, these cars are no longer driveable in the way they’re meant to be driven. At least that’s what we say; we who aren’t able to afford a banged-up Ferrari with no engine. They’ve a place in this world, we’d all agree. Picture this, though. A small car that can keep pace with most supercars on a track, cope admirably with city life, without the alarming price tag. Sounds good? Sure it does – I haven’t told you the bad news yet. Cars in this category, frequently labeled as track cars, are something of a compromise. You may find yourself exposed to the elements in a way only motorcyclists can understand. You will almost definitely be forced to skip the luxury features or any creature comfort, really. You may not be legally entitled to import the car into your home country. (That could be a serious one, eh?) And, to successfully import the car, you may be asked – by the manufacturer and local Customs officials – to participate in the build process. So, here’re your options. British-owned Caterham builds the CSR you see above. Caterham bought the rights to the Lotus Seven from Colin Chapman decades ago and has building Sevenalikes ever since. There’ve been Superlights; Roadsports; and Classics, or Seven’s with a bit of added space to hold in all your extra North American girth. The CSR is the farthest-reaching example of Caterham’s performance potential – at least at this p oint. While the car still looks like it came straight off the pitlane of Brands Hatch in the 1970’s, its performance is unbelievable. Considering its 260 horses reside in a car which weighs only 550kg, performance is quite believable. Caterham USA would charge you $44,000 for a CSR without the engine and transmission. The Ariel Atom has been mentioned on GoodCarBadCar before. An Atom engine is typically a 220bhp Honda mill which propels this 456kg car to insane speeds in a hurry. (Remember, a typical Toyota Camry weighs approximately four times as much.) Supercharging the Ariel to 300 horsepower produces a consequent lap time equivalent to the Caterham CSR Superlight at the Bedford Autodrome’s West Circuit. That would be a tenth ahead of Porsche’s Carrera GT and about 1.5 seconds faster than a Ferrari Enzo or MacLaren F1. To say nothing of the BMW M5, ten seconds back. Elfin is linked to GM-owned, Australian-based Holden. That’s good news for a list that was otherwise turning into a tribute to the Union Jack. 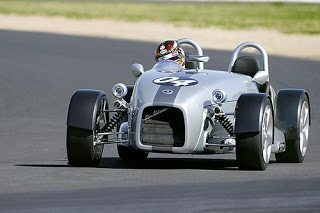 Elfin built sports cars 50 years ago and won numerous racing championships down under. Now, under the leadership of two hi storic racing enthusiasts and the ownership of Walkinshaw Performance, Elfin builds two similarly engineered cars (completely different styling, btw) with Chevrolet V8’s. Vroom Vroom. The MS8 Streamliner is cool, the MS8 Clubman cooler still. There are others; too many to touch on, in fact. Noble has had a fair bit of success with the M10 and M12 and may yet see more with the M15. 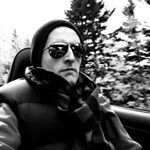 Priced in a higher bracket where sports car makers must compete with cars like the Porsche Boxster, Nobles emphasize performance above all else. Noble creator, Lee Noble, was also responsible for the Ultima. 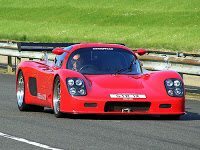 The Ultima GTR is pure speed and…. not so pretty. Toniq builds tidy little sportsters powered by either a Honda Fireblade bike engine or a tuned Ford 4-cy linder. Looking like it belongs in the Caterham sector, the Toniq started out as a two-student project at the University of Huddersfield with the hopes of making a Seven for the 21st century. 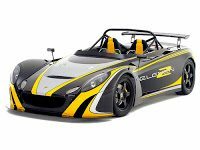 Westfield is yet another British track car maker competing in the Seven segment. They’ve also got a car similar in theory to the Radical and have begun rebuilding the car that brought them their original success. The Lotus Eleven became the Westfield XI and is built using parts from an MG Midget. It ain’t fast but it sure is cool. There you have it. Weigh up your options. Talk to those close to you who may have sway over your finances. Your driveway will be the most popular on the street.